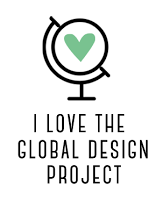 It was a lovely, hot Canada Day, and I made my traditional potato salad and went to my friends' annual Canada Day barbecue! 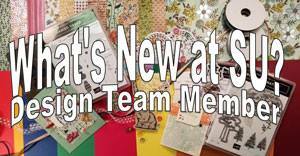 But before I left, I worked on some designs for my Technique Night classes coming up next week. 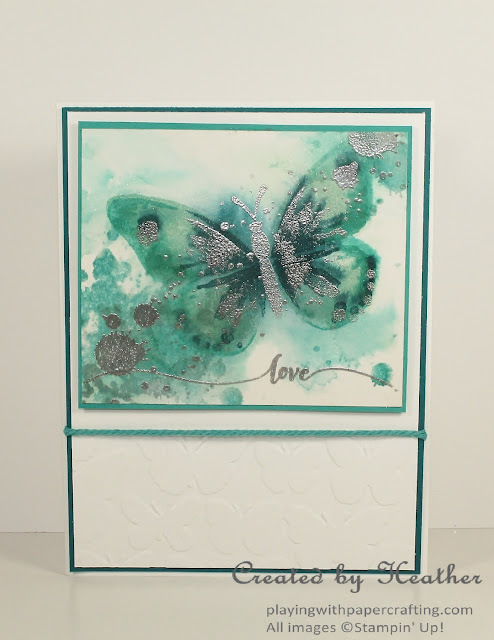 The theme is Butterflies, so naturally I decided to use the new Watercolour Wings stamp set. 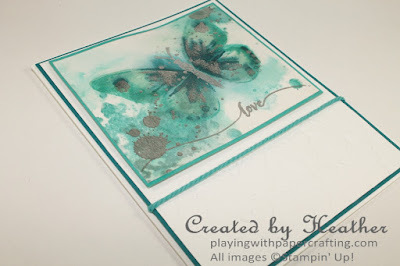 But I really used some watercolour effects when I stamped them! 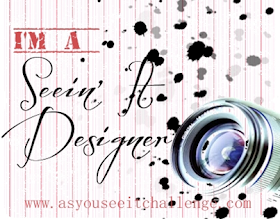 I was inspired by a card by Chrissie Stokes, although the effects I achieved are quite a bit different from hers. 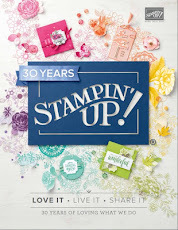 I used the Watercolour Wings stamp set and triple-step stamped the image using all three of the component stamps and Pool Party, Bermuda Bay and Island Indigo inks. 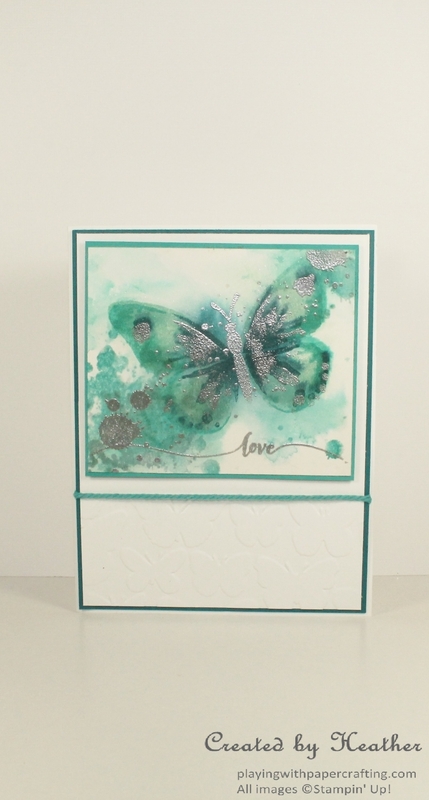 The difference is that I used Shimmery White paper and sprayed it quite liberally with water before stamping. I tried to direct the "drips" to run diagonally and generally succeeded, but water does have a mind of its own! Using the Heat Tool to dry the water, I then restamped the images, not worrying if they were spot on the previous image, because the edges were all blurred out anyway and it added to the watercolour effect if it wasn't precise. 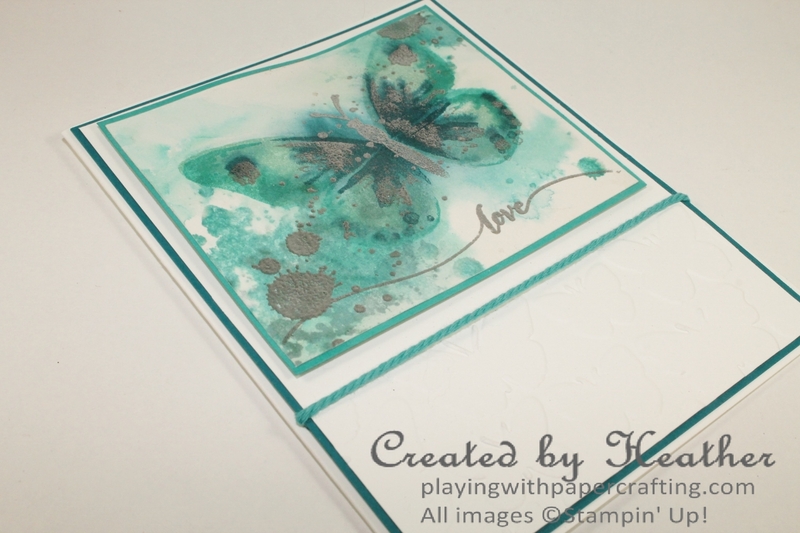 The Gorgeous Grunge stamp set was used to ink up the various splotches and splatters in the same inks and these were added to that diagonal swath of colour. I also used an Aqua Painter to soften some of the edges and add a bit of a wash in other areas. 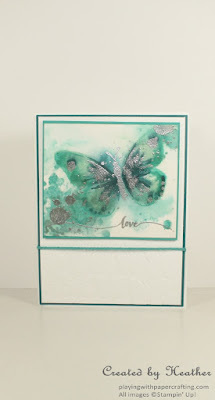 Finally, I dried everything again with the Heat Tool, went over it with the Embossing Buddy and stamped the inside of the butterfly, the body and some general Gorgeous Grunge splatter in Versamark ink, covered it with Silver Stampin' Emboss Powder and heat set it with...you guessed it...the Heat Tool! 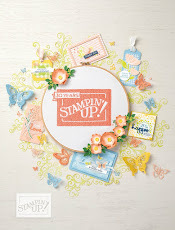 Oh yes, and also the sentiment, which is from the Hello Life Stamp set. I used the new Fluttering, a 6" x 6" Embossing Folder to add a border of texture on the bottom of the front panel for interest and topped it with a single strand of Bermuda Bay Thick Baker's Twine. I hope my Technique Night guests will be excited to do this one!